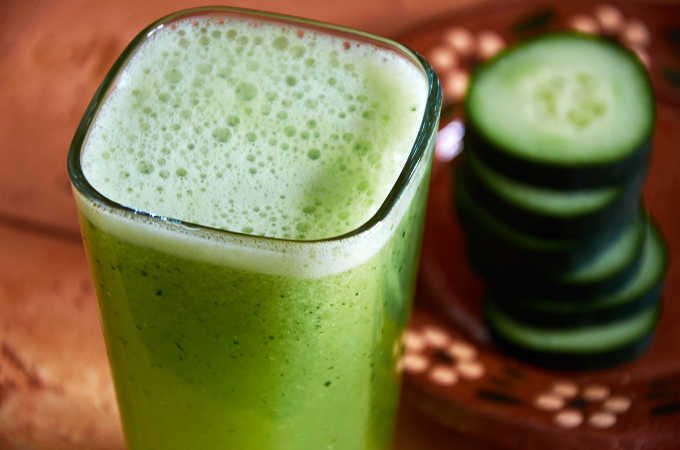 Cucumber, lime, and spearmint is a really refreshing combination for an agua fresca. At the university where I work, they make a different agua every day in the cafeteria. This is one of my favorites. The funny thing is, I don’t really care for cucumber but I love this drink. I think you will too. This is a very simple drink to prepare. You need one medium cucumber, 8 Mexican limes, eight spearmint leaves a cup of sugar and 1/2 gallon of water. Peel the Cucumber and cut it into 4 chunks. Juice the limes. Add the cucumber, lime juice, mint and 2 cups of water to your blender. Blend for 1 minute. Pour the mixture into a 1/2 gallon pitcher add the sugar and water to fill the pitcher. Stir well and serve lightly chilled. Aguas frescas of all types are enjoyed throughout Mexico and typically served with the comida, or mid-day meal. They are are a good alternative to drinking sodas. You can reduce the sugar by half if you are watching your sugar intake. The drink is still tasty just a bit more tart. You can also omit the spearmint. What is your favorite agua fresca? Mexican cucumber water (agua de pepino con hierbabuena) - a super refreshing agua fresca with cucumber, lime, and spearmint. It's simple and very quick to prepare and it's a great alternative to drinking soda with your meal. Peel the Cucumber and cut it into 4 chunks. 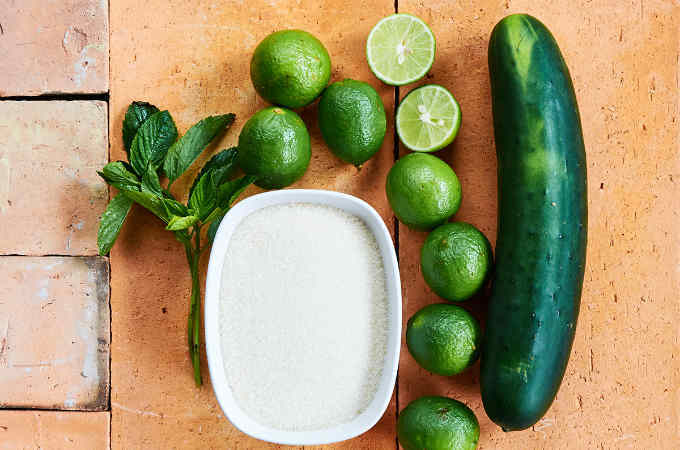 Add the cucumber, lime juice, mint and 2 cups of water to your blender. Pour the mixture into a 1/2 gallon pitcher add the sugar and water to fill the pitcher. Garnish with a spearmint leaf. Reduce the sugar by half if you prefer a tarter drink. Lime and cucumber without the mint is also a great combination.